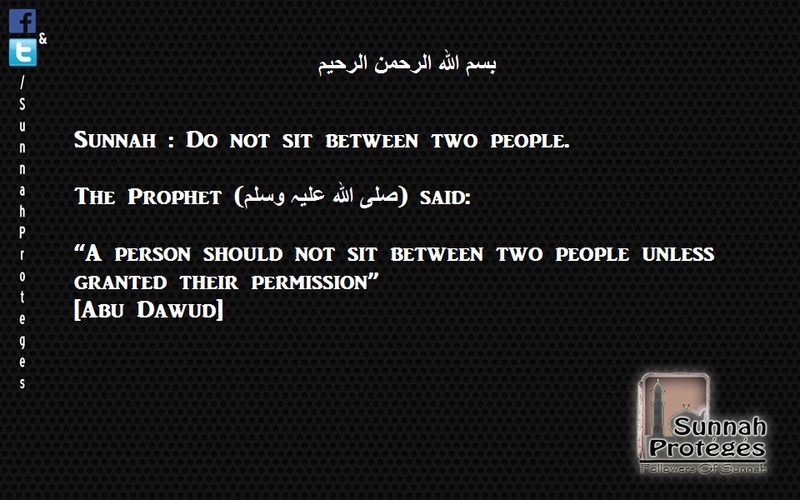 Sunnah : Do not sit between two people. Asssalam o Alikum Wa Rahmatullahi Wa Barakatuhu! he has forgotten to live on Earth like a Human. The greatest debacle we are facing today is not of water, not of fuel, not of bad economy, not of unemployment . Its is the debacle of the beauty of Relationships the most. We today are so busy, so busy in our laptops, androids, iphones , that we just don’t care , our mum is greedy to have a little chit chat with us . Our father waits for long so that we come and tell him which medicine to take now. 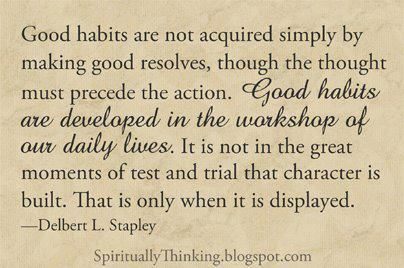 But we are we, we have swore not to change our behaviors. Let’s break this ice this week! 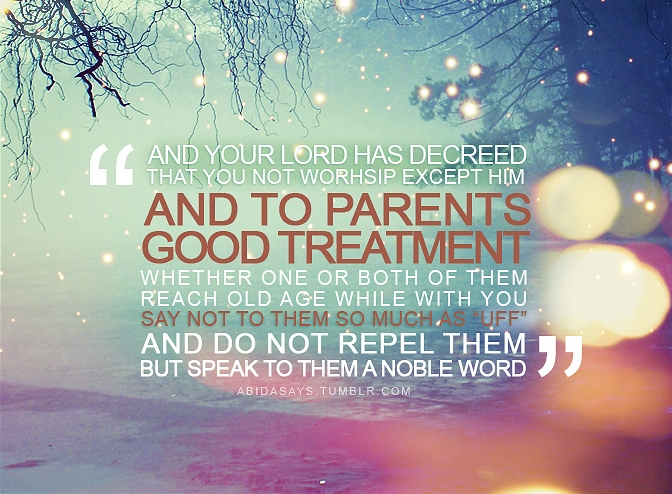 The only condition we are allowed to disobey Parents is when they ask us to worship other than ALLAH, disobey ALLAH. The only only condition. 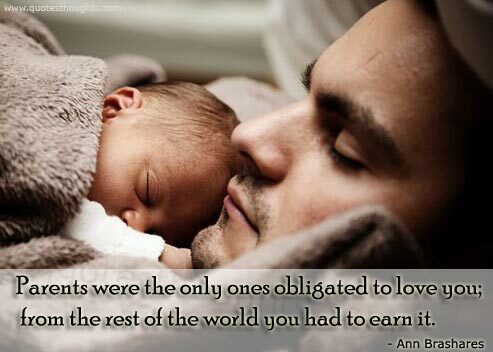 Otherwise all we have to do is listen and obey! All we have to do is Khidmat . 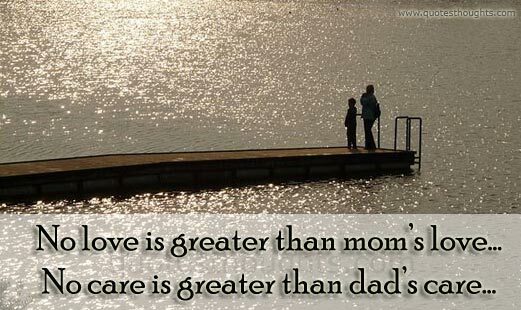 Do we actually know the importance of the loving behavior with parents ??? 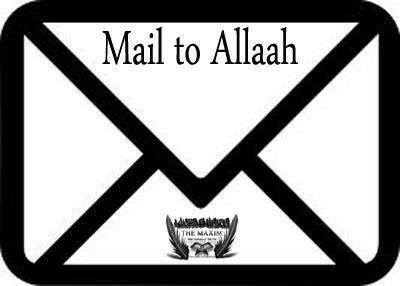 This can either make our Dunyah and Akhirah, or destroy them both. There was a taba’ee named Owais Qarni (May ALLAH be please with him) . Prophet Sallal laho alaihi wassalam told Abu Baka and Umer Radiallahu anhu before his death, that there is a man of Yeman named Owais, whenever you meet him, request him to make Dua for you. Because his Duas never go unanswered. Both of them were amazed and asked, what special deed he has made that his Duas never go unanswered?? 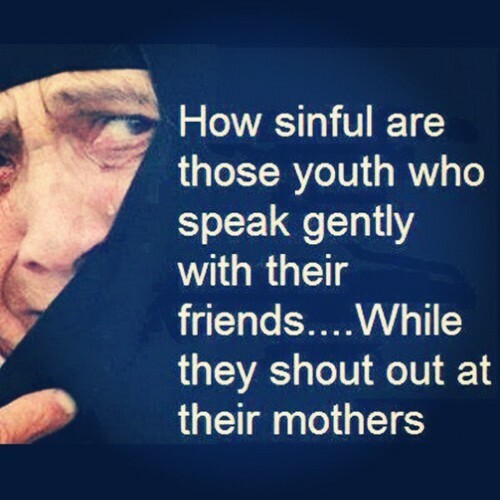 He has done such a great service to his mother , that now whenever he raises his hands ALLAH surely answers them. What are we today??? The picture below says that all. Alhumdulillah we have learnt last week to avoid shouting, abusive language and lies. 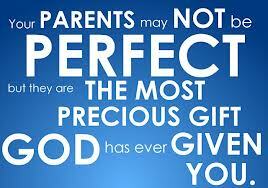 So generally with everyone, and specially with Parents , try to work on that task lifetime. But there is much much more to do, we are mentioning some major things to start practice from this week, and you are invited to mention other points too using comment block so that we all may work on that. 1. Above all think deeply that ALLAH talked about avoiding shirk, and suddenly after that he talked about dutifulness and Ehsan with parents. 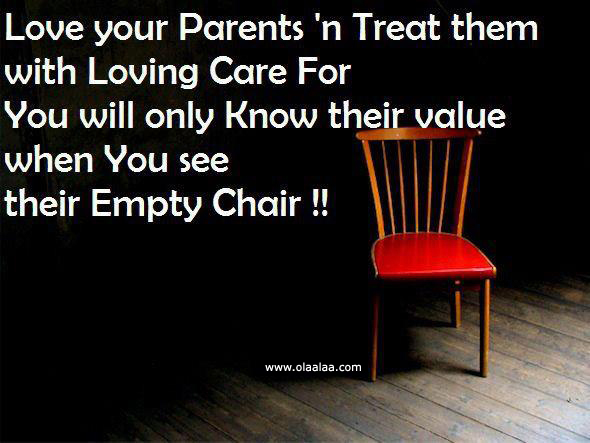 So think that how important it is. 2. Give them a whole heart salaam, and smile daily. 3. Spend time with them, massage them with some oil. 4. If it is not possible daily, then at least on weekends , have lunch or dinner with them and give them some food with your hands. 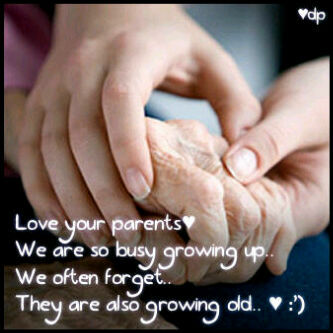 It is just beyond our imaginations, what are the rewards of being loving to our parents. How the things in life become easy, how success starts kissing our feet when mother and father raise their hands to make Dua for us. I love You. I love how You can read my heart and know what is hidden in it from the world. I love how You make me fall and ctach me before I crash. I love talking to You. I love how I smile when I think about Yo…u. I love th…e tears flow down for You when I think of You as My Rabb. I love performing my prayer and how I sometimes not want to get up from Sujood. I love the way You make me feel complete when I feel lonely and suddenly I realize I have You. I love how I need You. I love how I beg you for help. 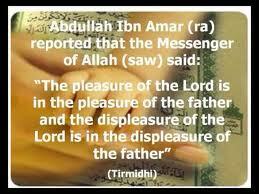 I love the tiny little things in Islam that make me feel part of this incredibly huge religion. I love doing things for Your sake. I love how You give me strength. I love how You give me patience. I love how You help me. 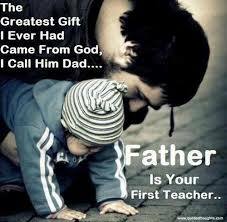 I love how You teach me. I love how You give me. I love the fact that You have given me this ability to love. I love how You love me unconditionally. I don’t deserve to be loved, but still You do love me. and thats what I love most.